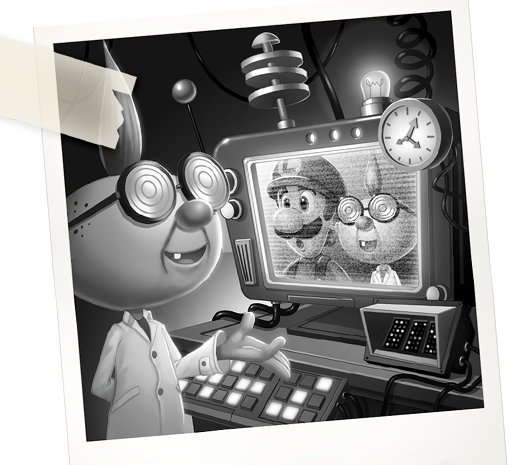 Professor E. Gadd has finally finished penning the third installment of his journal. This time around, we get to find out even more on how Gooigi came about. Check out the journal below! This mysterious element I've come to call Goo has proven unlike any other element I know of. 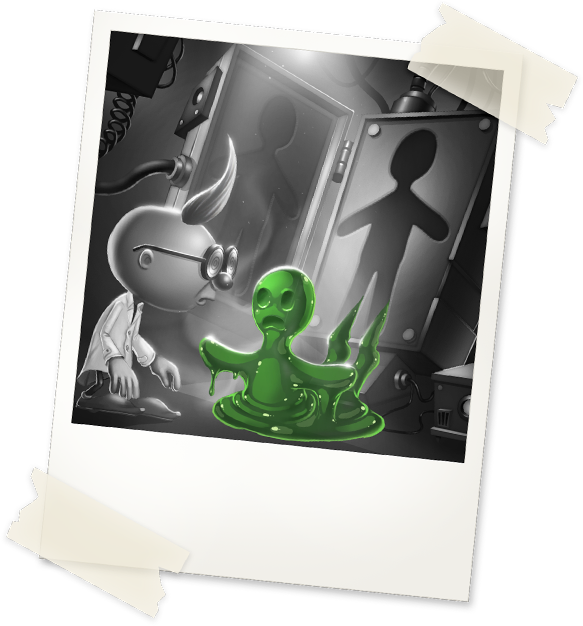 I'm confident that I can make great strides in my research if I can teach Goo to collect ghosts for me! My greatest invention, the Poltergust, is undeniably the best way to capture ghosts. I realized that Goo could learn to master the Poltergust if only I could cause it to adopt a humanoid form. The experiments began at once! Professor E. Gadd is back with another part of his research journal. 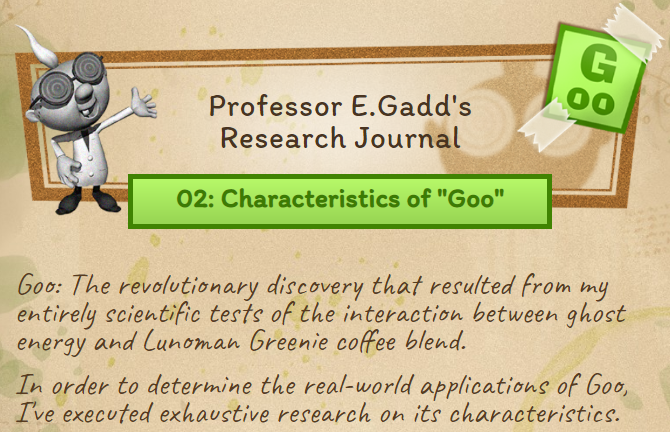 This time around, the good professor discusses the characteristics of goo. 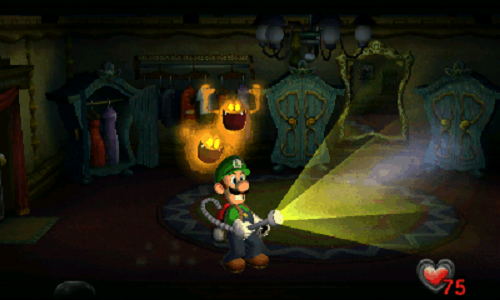 As you might know, the 3DS port of Luigi's Mansion adds in the mysterious character Gooigi. Learning about the goo itself certainly sheds a light on what Gooigi is all about! 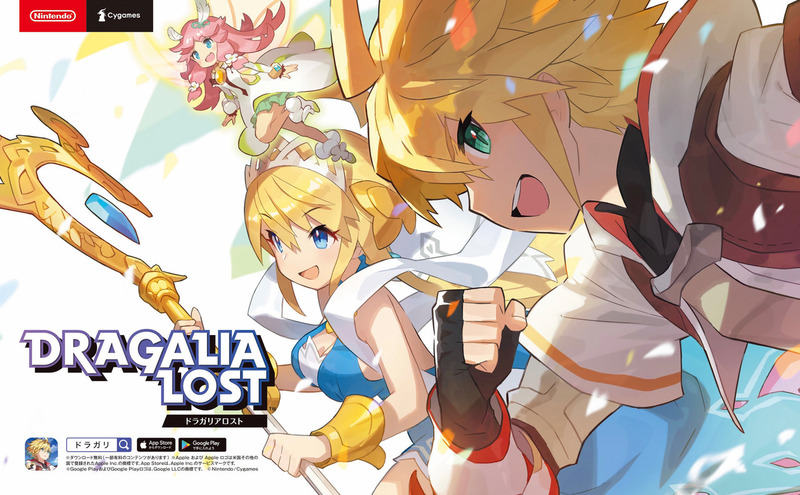 Another round of software sales data has come in from Spain, this time giving us a look at the total sales for three titles over roughly 3 weeks' of availability on the market. Check out the data on each game below. Double trouble for ghosts! For the first time, two-player mode has been added to Luigi’s Mansion. 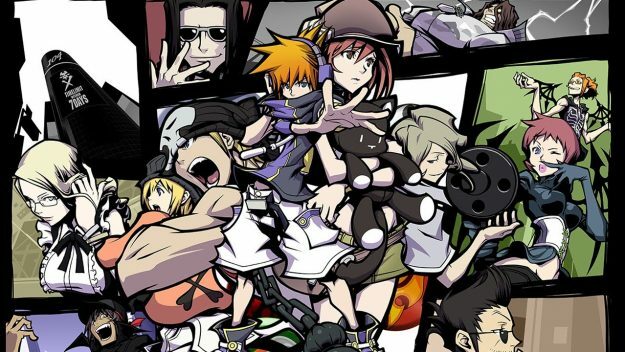 Team up and take on ghosts together! Available now for the Nintendo 3DS family of systems. Two more Nintendo-related print ads in the latest issue of Famitsu. 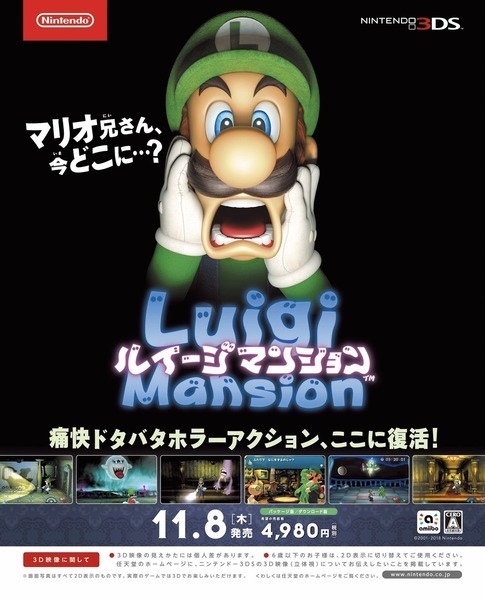 The Luigi's Mansion ad has a real old-school vibe to it, while the Dragalia Lost ad is an eye-catcher! Let's hope both spots do the trick and attract some attention from consumers. Luigi’s Mansion has arrived on Nintendo 3DS family systems, and to celebrate we’re running a prize draw on Facebook and Twitter! To be in with a chance of winning a copy of Luigi's Mansion on Nintendo 3DS family systems, simply head to the contest post on our Nintendo 3DS Facebook page and leave a comment telling us your favourite game that features the green-garbed brother, Luigi! One winner will be drawn at random from all entries received by 23:59 GMT on Sunday 4th November. 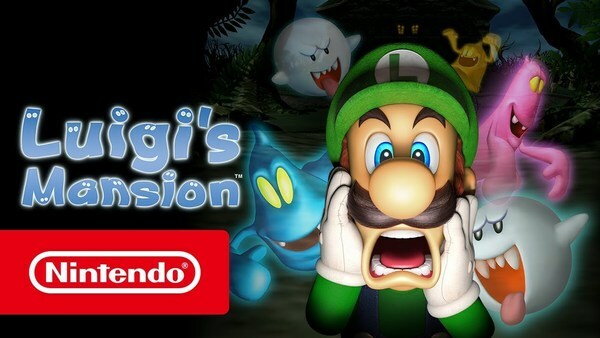 To be in with a chance of winning a copy of Luigi's Mansion on Nintendo 3DS family systems, simply head to the contest tweet on our Nintendo UK Twitter account and leave a comment telling us your favourite game that features Luigi! One winner will be drawn at random from all entries received by 23:59 GMT on Sunday 4th November. Luigi's Mansion releases for 3DS in Japan on Nov. 8th, 2018, and is priced at ¥5,378. The preload option for those taking the digital route has gone live now. Grezzo has done a tremendous job in adapting the game to Nintendo's aging portable system and in the end, has produced one of the best-looking games on the system. The controls are also well implemented. If you're playing on a New 3DS, you get to use the nub just like the right stick on GameCube but this time, it can actually be inverted. You can also use the gyro feature to aim your vacuum up and down across all versions of 3DS hardware. Always nice to see Luigi get some time in the spotlight, even if it's for a port of an old game. I'm sure he was just happy to be out and about!